Let's take a closer look. The ball really jumps off of the face of this driver. The high MOI combined with Nike's new compression channel means you can hit the ball anywhere on the clubface and still get tremendous amount of distance. The compression channel is specifically for the off-center low hits. The channel that runs along the bottom of the club will bend slightly to accommodate shots hit lower on the face. The coolest thing about the club is the STR8-Fit technology. The club is adjustable to 32 different positions. So I guess you could say: buying this driver is like buying 32 drivers. This is four times more than Nike's previous Str8 Fit drivers that provided 8 different positions. I would recommend this driver for all levels. Even if you are not a low handicap, you can adjust the face more closed until you get better. 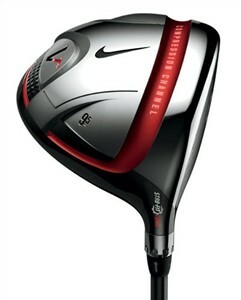 What I don't like about the driver is the sound at impact. I would expect a much more muted sound for a tour driver. But then again, when you are racing a Ferrari, you don't worry too much about how loud it is when you stomp on the gas.